Founded over fifty years ago, Barton Music is an independent music publisher with a world class catalog containing “timeless standards written by the likes of Sammy Cahn, James Van Heusen, Jule Styne, Ken Lane, Irving Taylor, Robert Wells and many more legendary writers. ‘Because Editions’ was founded in Paris 2006 and it quickly became a distinctive platform where artists have the freedom to exchange, cross over and express themselves. ‘Because’ has welcomed a variety of artists, writers and styles from Justice, Drum ‘N Bass, Ragga from La Phaze, and The Plasticines to the catalogue. 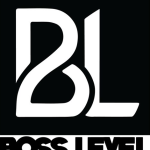 Independent music publishing company Boss Level is home to the likes of Paces, Jonathan Boulet and Chela. Boosey & Hawkes are one of the largest, specialist classical music publishing companies in the world. Their unrivalled catalogue includes works from some of the 20th centuries most distinguished composers, as well as many of the leading international classical composers of today. Over the last 60 years, Budde has become one of the most successful independent publishers in Europe with offices in London, Berlin and Paris. Distinguished by brilliant administration, superb licensing and combined with a young and active A&R team, Budde focuses on new talented writers and producers, as well as on new interesting labels that are looking for a serious and experienced partner for their publishing. An NYC-based independent music publishing agency. 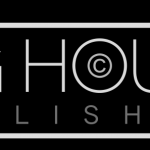 Founded in 2012, Big House has become known for its “Brill Building” approach to writer and artist development. Services include transparent administration, crafted collaboration, cross-brand sync, and for creating bridges to overall international market exploitation and artist-side deals. With an indie pop focus and edgy sync-friendly catalogue, Big House also prides itself on unparalleled client-side services. In the past 3 years Cloud 9 has been very successful with already over 100 single hits of which Cloud 9 is the publisher, varying from dance to rock and from kids to hip hop as well as being active as music supervisor for several successfully released movies in Holland. CRC is a new generation music company fundamentally built around artist management culture, invested in long-term artist career development. The team have been responsible and integral in the development and success of huge numbers of international artists careers, with No. 1 singles, No. 1 albums, Brit Awards, Mercury nominations, international festival headliners and Radio 1 A list records to name but a few. One of the biggest independent publishers in Scandinavia. Cosmos Music (Scandinavian Songs) represent several Swedish writer/producers, administers many Swedish catalogues and is the proud sub-publisher of around 50 foreign catalogues. Drive Music Publishing is an Los Angeles based independent company, founded by Ana Ruiz and Joe Rausch. Working with legacy catalogs to new songwriters, DRV takes a dynamic approach across all genres of music to provide the best opportunities worldwide. 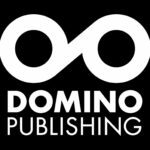 Domino Publishing Company is the music publishing arm of Domino Recording Company, the UK based independent which for over 20 years has been one of the must influential labels in contemporary music. Elevate Music is Ireland’s most progressive and creative publishing company with a growing catalogue that reflects the modern face of Irish songwriting ranging from Electronica to Rock to World. Founded in 1965 (at the instigation of Benjamin Britten) as sister company to the distinguished book publisher Faber & Faber, Faber Music is now one of the leading independent British publishers of contemporary classical and non-classical music. The company enjoys a reputation as one of the most influential publishers of serious contemporary classical music in the world. It also represents some of the UK’s most successful film and TV composers as well as a small, elite roster of alternative artists and songwriters. With more than 50 years of publishing experience, Fermata do Brasil specialise in renowned Brazilian writers, as well as a wide range of international copyrights. Around 15,000 music rights are at the centre of Filmkunst-Musikverlag’s licensing and copyright administration business based in Munich. The FKM catalogue includes timeless film classics (“People On Sunday”) as well as world famous TV series, such as “Heidi”, “Scarlett”, “Captain Future”, “Pippi Longstocking”, “Vickie the Viking” and “Maya the Bee”. The Imagem Music banner incorporates heritage catalogues such as Cahn, and CP masters and, proudly represents over 100,000 outstanding copyrights from some of the biggest names in pop and rock, works by classical masters of the 20th and 21st centuries, and timeless favourites of musical theatre. Imperial is a New Zealand publisher signing masters and publishing on heritage NZ acts. Lonely Planet TV’s flagship series, Six Degrees, screens in over 100 countries. Playful, sassy, streetsmart and unexpected, Lonely Planet Six Degrees connects its viewers to what makes each city special – the people that live in it. Lucky Number is the London-based music publishing arm of Lucky Number Records. Lucky Number currently represents FTSE, EyeDress, Jake Bullit and Oscar. Manners McDade Music Publishing Limited is a UK music publisher established in 2006. Their catalogue includes the work of top film and TV composers as well as a select roster of European composers, many of whom come from a classical background. Median Müzik Edisyon is an Istanbul based music publishing company who administer publishing rights of Turkish, Kurdish, Arabic writers worldwide. Median has about 25,000 local titles and are adding new songs with new signing & creative projects like co-writing, scorings, adaptations, and sample marketing. The roster consists of back catalogs since 60s, covering pop, rock, folk and hip-hop songs, and huge TV series & film scorings. Me Gusta Music is a Nashville-based full service copyright administration company. Established in 2010, it provides publishing administration, record licensing and synch clearance to clients who span a variety of genres – from country and Americana to rap and soul. 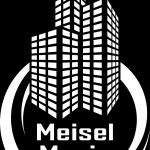 Meisel Music’s extensive experience and successful national & international relationships with authors, producers and sub publishers help them to connect composers and songwriters. Meisel have had the honour to work together with artists like Modern Talking, David Bowie, Peter Maffey, U2 and many more. 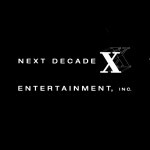 Next Decade is more than just a music publisher. With a hands-on and service oriented approach, the company share years of experience and knowledge about music and licensing. Founded by Stu Cantor in 1989, the roster of songwriters and catalogues is growing constantly. Natural History NZ is one of the largest factual program producers globally and has built a substantial catalogue of musical scores in a publishing joint venture with Native Tongue. These works are featured in programs screened on National Geographic, Discovery, Animal Planet and numerous other networks around the world. A London-based independent music publishing, production and artist development company, founded in 2006. Phrased Differently has managed over 1,500 song placements. These include over 60 No. 1’s, 250 Top 10 records, 50 Platinum Records and 60 Gold records around the world. Native Tongue are proud to work with the Orbison Publishing companies. From developing new songwriters and artists to working classic catalogues of timeless songwriters and performers. Including contemporary songwriters like Liz Rose who co-wrote ‘You Belong With Me’ with Taylor Swift and Tommy Lee James who has written for artists as diverse as Delta Goodrem, Reba McEntire and the Pussycat Dolls to name but a few. Native Tongue and Outpost Publishing team together to help develop and work Bertie Blackman’s catalogue. 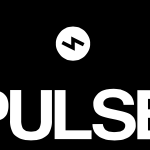 Pulse is home to more than 70 of today’s top songwriters, producers and artists, including hitmakers Bonnie McKee (Katy Perry, Britney Spears, Cher, Ke$ha), Christian “Bloodshy” Karlsson (Madonna, Britney Spears, Galantis, Miike Snow), Tim Pagnotta (Neon Trees, Walk The Moon), Oliver Goldstein (Jennifer Lopez, Kelly Clarkson, Christina Aguilera), Tony Maserati (Beyonce, P!nk, Lady Gaga, Robin Thicke), and Anne Preven (Madonna, Miley Cyrus). Raleigh Music Group provides outstanding creative and administrative service to a select number of music publishing clients including the catalogs of Elvis Presley and George Gershwin. 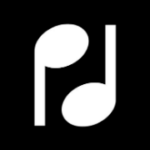 The company, founded in 2015 by music industry veterans Peter Raleigh and Steve Storch, utilizes a high touch approach in order to maximize royalty revenue and protect the long term value and ownership rights of the songs they represent. Reformation administers the songs of Gary Kemp, the writer behind the hits of Spandau Ballet. From the late 70s Spandau Ballet notched up a run of 20 hit singles and spent more than 500 weeks in the UK charts selling in excess of 20 million albums along the way. Few bands are truly timeless, but the continued popularity of their music is also in part a testament to the legacy of Gary Kemp’s lyrics and melodies. Canadian based catalogue primarily containing production music and TV Cues. Highly concentrated on both film and children’s TV music content. Casablanca Media Publishing/ Red Brick Songs is a leading Canadian independent publisher since 2001 and is home to a growing roster of songwriters including The Rural Alberta Advantage, The Fast Romantics, Said The Whale, The Dirty Nil, Dan Davidson, Zanski, Folly & The Hunter, Jeremy Fisher, Aidan Knight, Young Rival, Cuff The Duke, Jeen O’Brien, Nygel Asselin, Swim Good Now, Teen Daze, Psychic Twin, Field Mouse, Sleep Millennium and many more. Round Hill Music is an independent, high-end music publisher with a mission to provide exceptional music. As a boutique size publisher they oversee a small catalogue but including many quality song writers and songs. Including Andreas Carlsson, Charlie Midnight & Randy Goodrum. Schedler Music is one of the most successful publishers in the German-speaking area. Schedler Music represents many successful international publishing companies and popular catalogues in GSA and Italy. Southern Crossroads Music is an Americana, Alt. Country, Folk / Accoustic Blues and Country focused music company that owns and controls both master rights and publishing rights. That roster currently comprises producers, artists and songwriters based in the UK and the US.  It has presence and/or joint-ventures in London, Nashville, Los Angeles and New York and is represented in Canada, Australia, Germany, France, Scandinavia, Italy and Spain. Since the beginning of its publishing history in far 1962, Targa-Musik stands for world famous German pop and folk hits, such as those by Elke Sommer. With the creation of its two film music editions “Musical Magic” and “Roxy-Sound”, today Targa also publishes cutting edge film scores from film productions made in Germany. Cloud 9 Music has started the new publishing company ‘TousEnsemble Publishing’ (TEP) together with CNR Records Belgium and Regi Penxten (aka Regi). The company will represent amongst others Regi’s copyrights worldwide. Regi is known as a producer, writer and one of Belgium’s hottest exports under past aliases Sylver and Milk Inc. Wim Coryn (managing director TEP), formerly working for a.o. BMG Publishing, will be working alongside Regi. Spawning from a number of ventures in the Licensing world & with offices in both the US & Uk. Think Sync Music Publishing is a wide-ranging catalogue consisting of various contemporary genres, geared towards getting placements in TV, Film & Gaming.  Trafalgar13 Music House is a progressive studio specialised in original music production and sound design. Since 2004 they have composed and produced innovative music for feature films, TV productions with an individual, artistic and personal language of its own. TuneCore is an online music distribution service enabling musicians and other rights-holders the opportunity to sell their music while also giving writers the chance to have their publishing interest represented worldwide. 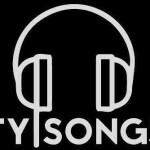 T.Y Songs (aka Thomas & Young) are a British songwriting production team based between Los Angeles, CA and London, UK. The creative duo, consisting of Owen Thomas and Lily-May Young, write and record for both recording artists and TV & Film on both sides of the Atlantic. 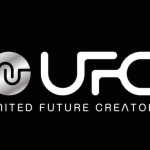 United Future Creators Inc. is a Japanese music publisher founded in June 2012. Producing and creating music mostly for J-POP and K-POP artists and also doing management and rights business for songwriters, composers and DJs. We are releasing numerous hit songs from our worldwide music creators team “Future Unison”. Ultra International Music Publishing (UIMP) is the music publishing arm of Ultra Music that represents artists, songwriters, producers and other publishing rights holders from around the world. While Ultra Music is key player in Electronic Dance Music, the publishing company expands genres and has continued success in the Pop, Urban, Dance and Reggae arena. Consistently, Ultra has been placed among the Top 10 Quarterly Airplay chart, released by Billboard each quarter. Even surpassing publishing companies affiliated with major record labels, Ultra’s presence in the market is prevalent. Founded in 1984, Westbury Music Ltd is an independent publisher of contemporary British music. Currently looking after some 70,000 works spread over several hundred catalogues, it is now one of the most respected independent publishing companies in the world. Founded in 1945 by the inimitable song-writing duo Rodgers & Hammerstein, the Williamson catalogue includes such famous and well-loved works as ‘The Sound of Music’, ‘Oklahoma’ & ‘The King & I’. In addition to representing their classic copyrights, nurtures new talent with their current roster including writers John Bucchino, Joe DiPietro & Ann Hampton Callaway. Wixen Music Publishing, Inc. was formed in 1978 as an alternative channel for publishing administration, copyright management, and royalty compliance review. Founder Randall Wixen has a degree in economics from UCLA and has taken several professional-level courses on law and business aspects of music publishing. Based in Nashville, Words & Music have been providing a superior catalogue focused on active Country & Western works for several years. With a catalogue boasting many prominent writers within the genre such as Dierks Bentley, Brett Beavers & Waylon Jennings, Words & Music have become one of the leading catalogues in this field.